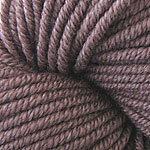 Inca Gold is luxurious blend of merino wool and silk at an honest price. The multi-plied and refined twist creates a classic yarn of quality that will withstand the test of time. Care: Handwash. Lay flat to dry.